Brazil is the topic of the day, today, for a variety of reasons. 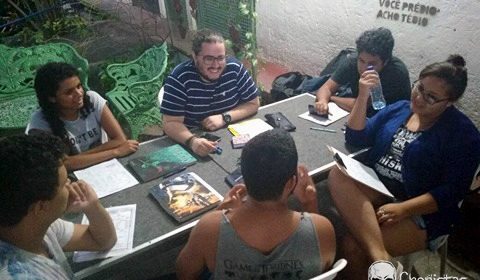 1) Last week I received a bunch of pics and notes from our friends at Cronistas das Trevas who ran a Chronicles of Darkness Day all across Brazil that demonstrates that the Brazilian tabletop RPG scene is exploding! 160 people in 14 different cities (double the number of cities from last year!) sat down to play Chronicles of Darkness games. 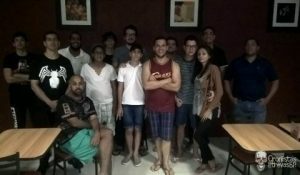 It sounds like a great time was had by all! 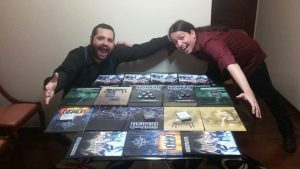 These folks played two games while podcasting! 2) Cursed Necropolis: Rio is getting set for approvals and then out as a Backer PDF to the Mummy: the Curse KS backers. It is the last of the KS Stretch Goal rewards, and while it took us a much longer time to deliver everything from that KS, it feels great to have delivered (almooost) such a diverse yet solid selection of Mummy: the Curse books. 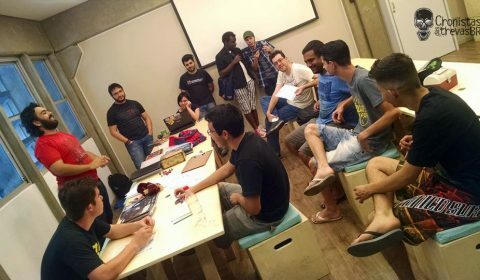 3) Just today, Fast Eddy Webb let me know that there is a translator/publisher in Brazil interested in Pugmire. This is both very cool, and not surprising. We have had interest in all of the game lines we publish from possible translators from Brazil, and we’re looking forward to getting some signed up soon. Again, from what I hear, the country is just in love with tabletop RPGs, and very open to cool new games. This brings up something I do want to touch on. I get a fair number of requests from players in other countries outside the US for us to create our books in their language. This is cool, and it is great to hear that there is interest there, but I hope folks understand that we’re not the ones who are translating and publishing the books in other languages. We just don’t have the bandwidth or knowledge base for that. We also do not have the time to actively seek out translation partners. Onyx Path relies on working with translation/publishing partners in other countries who have contacted us, have proven they can do great work, and who are willing and able to pay the licensing fee or fees we ask for. If we had our way, there’d be a partner company in every country around the world making localized versions of our books! But unfortunately, that’s not the case yet, so we are gradually building relationships with those folks who can and do match up with what we need from our translation partners. If we haven’t done that for your favorite game in your language, please rest assured it is not that we hate your country, language, that game, or you! We just haven’t found a partner who can make it happen yet. Finally, and try as I might I can’t really get it to fit the Brazil theme, I did want to let Mage 20 fans know that Rollickin’ Rose and Mighty Matt and I sat down with Satyr Phil Brucato and worked out ways to get an additional developer or two onto some of the M20 books we have listed as coming out of the Deluxe M20 Kickstarter. The one dev I heard for certain is onboard is our old friend Pete Woodworth, which Satyr let me know about over the weekend. Satyr puts his heart and soul into every book, and writes and rewrites and develops the hell out of them (or into them in the case of the Book of the Fallen? ), but that dedication has also slowed things down as there are only so many hours in the day for one creator to cover so many things. Satyr didn’t like it, we certainly didn’t, and now we have a working plan. Really just one of the many ways we’re learning from the lessons of the past five years to move into our next five. We’re exploring card game Kickstarters, packaging, and components, for Prince’s Gambit. I’m working on the KS pages this week, and our video genius is assembling edits while Justin is picking music. Things look good, and we are all for starting the KS in Feb so long as the process of pulling the KS together cooperates. If so, then Monarchies of Mau KS would be next, after Gambit. This offer is doing really well- thanks to all of you who have supported a great cause so far! How about we do something never before attempted and add WoD Armory to this set of PDFs! 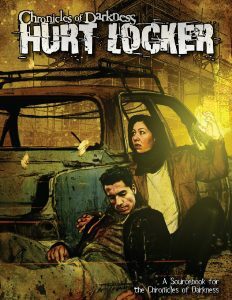 For those of you who pledged already- we give this with our thanks! 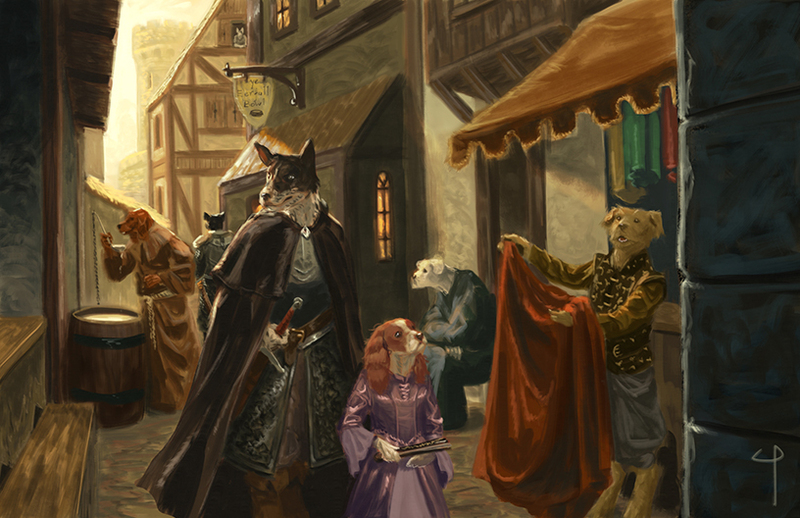 And if you haven’t pledged yet…well now you get even more awesome PDFs when you do! We’re preparing wave 2 of our Deluxe and Prestige print overrun books, including Deluxe Mage 20th Anniversary, and Deluxe V20 Dark Ages. 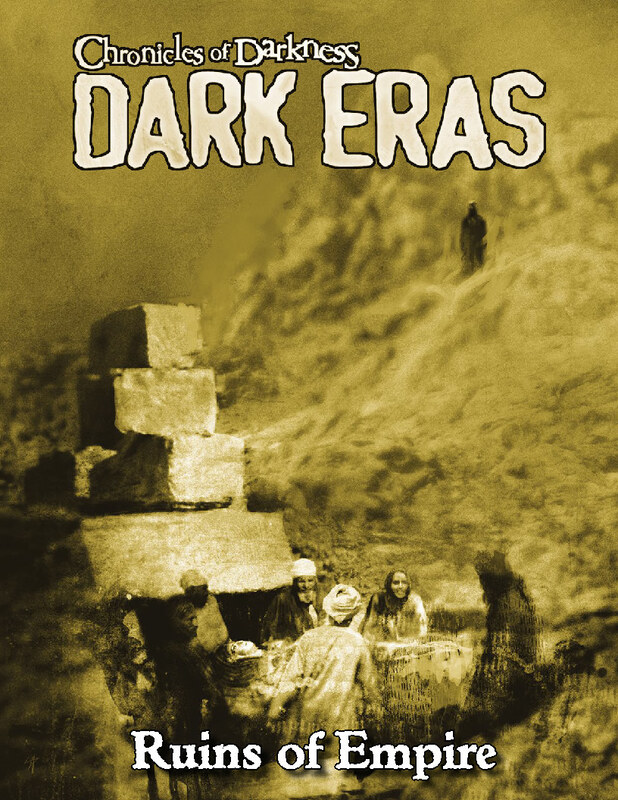 From the massive Chronicles of Darkness: Dark Eras main book, we have pulled this single chapter, Dark Eras: Ruins of Empire (Mummy 1893-1924). Perhaps the quintessential era of the mummy in the minds of Westerners, this period saw the decline of the two greatest empires of the age: British and Ottoman. Walk with the Arisen as they bear witness to the death of the Victorian age, to pivotal mortal discoveries in Egypt, and to the horrors of the Great War. 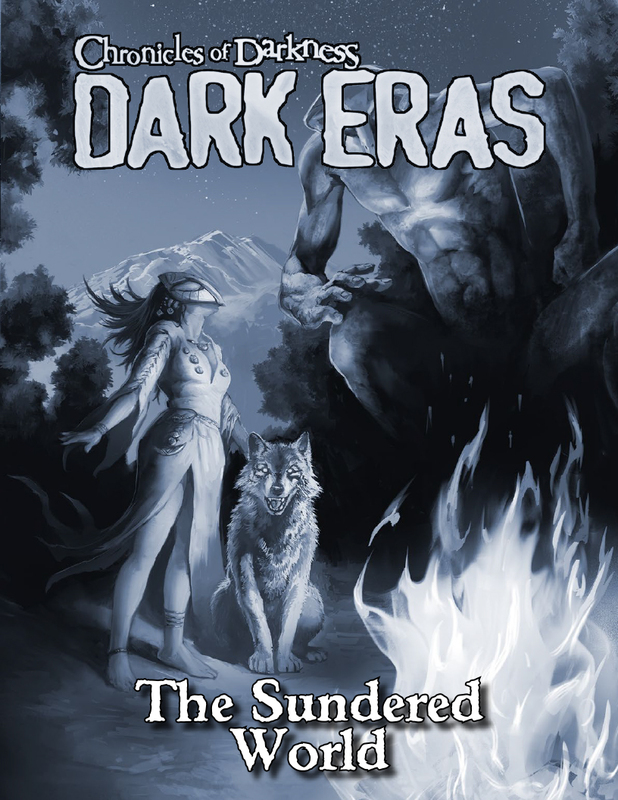 From the massive Chronicles of Darkness: Dark Eras main book, we have pulled this single chapter, Dark Eras: The Sundered World (Werewolf and Mage 5500-5000 BCE). At the birth of civilization, in the shadow of the Fall, the Awakened stand as champions and protectors of the agricultural villages spread across the Balkans. In a world without a Gauntlet, where Shadow and flesh mingle, the steady taming of the world by humanity conflicts with the half-spirit children of Father Wolf. 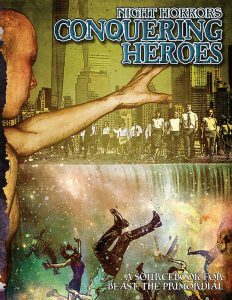 An in-depth look at how Heroes hunt and what makes a Hero, with eleven new Heroes to drop into any chronicle. A brief look at why Beasts may antagonize one another, with seven new Beasts to drop into any chronicle. Rules for Insatiables, ancient creatures born of the Primordial Dream intent on hunting down Beasts to fill a hunger without end, featuring six examples ready to use in any chronicle. You are a vampire, a junkie. Every night, you beg and you borrow and you steal just a little more life, just a few more sweet moments. But there’s a guy at the top. The Prince. He’s got everything. The money, the secrets, the blood. Tonight, you’re going to take it from him. Tomorrow, there’ll be hell to pay. 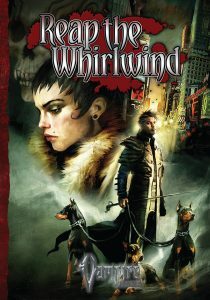 This updated edition of Reap the Whirlwind features revisions to match the core rulebook for Vampire: the Requiem 2nd Edition. Text edits and rules clarifications have also been updated. 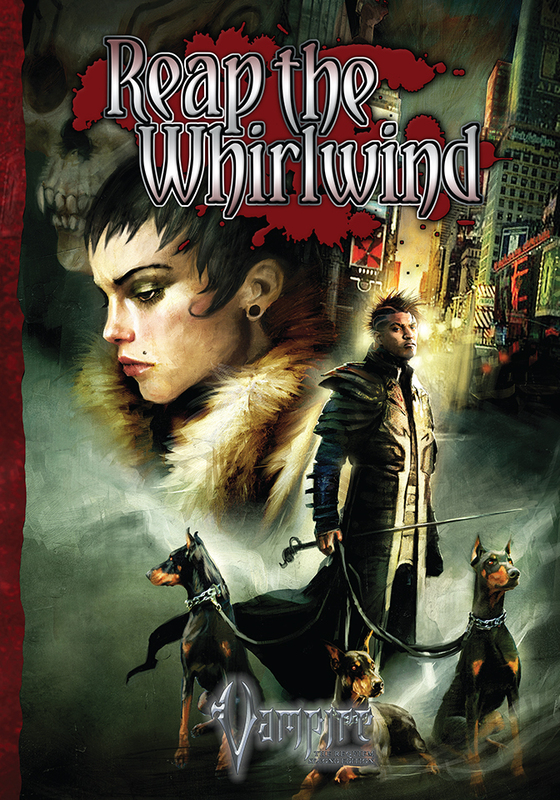 This new revised Reap the Whirlwind Revised includes an updated booklet, 7 condition cards, and the interactive Vampire: the Requiem 2nd Edition character sheet. 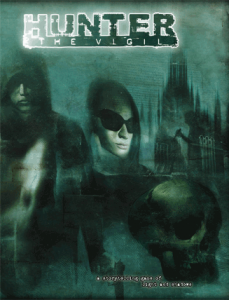 All that stands between Rawhead and his terrible aim are a lone mummy, Kemsiyet, and what little remains of her cult following its destruction at Rawhead’s hands. 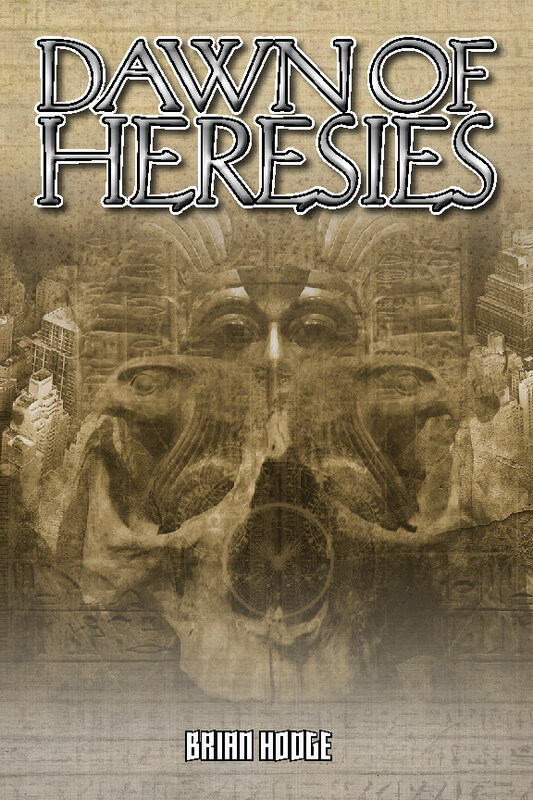 Declan, her prized security aide, and Fiona, an Irish researcher only just recently inducted into the cult and its blood-soaked world, must fight both the odds and the clock in order to prevent a calamity the likes of which the world hasnít seen since the days of the mummies’ creation. 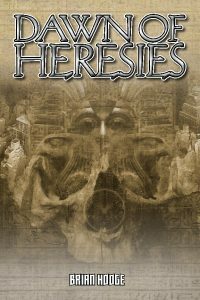 Recent works include “The Weight of the Dead,” from Tor, and novelettes of cosmic horror in The Mammoth Book of Cthulhu and Children of Lovecraft. 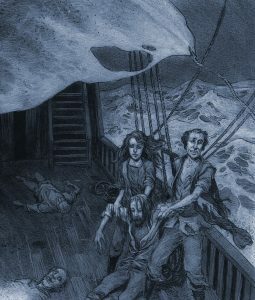 His oft-reprinted 2013 novella, “The Same Deep Waters as You” has recently been optioned by a London-based production studio for development for television. Brian lives in Colorado. Live, fight, and love on Mars, a world of red death and strange mystery, a world of savagery and romance. 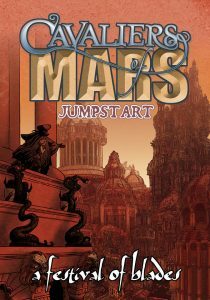 A complete adventure set in one of dying Mars’ greatest remaining cities. 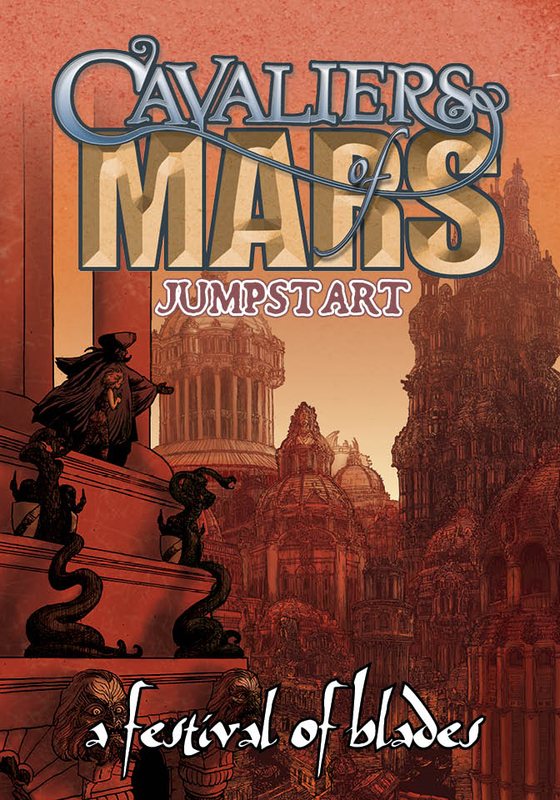 The innovative DEIMOS rules, for high-flying, swashbuckling adventure. Four pre-generated player characters, ready to get into the heart of the action. 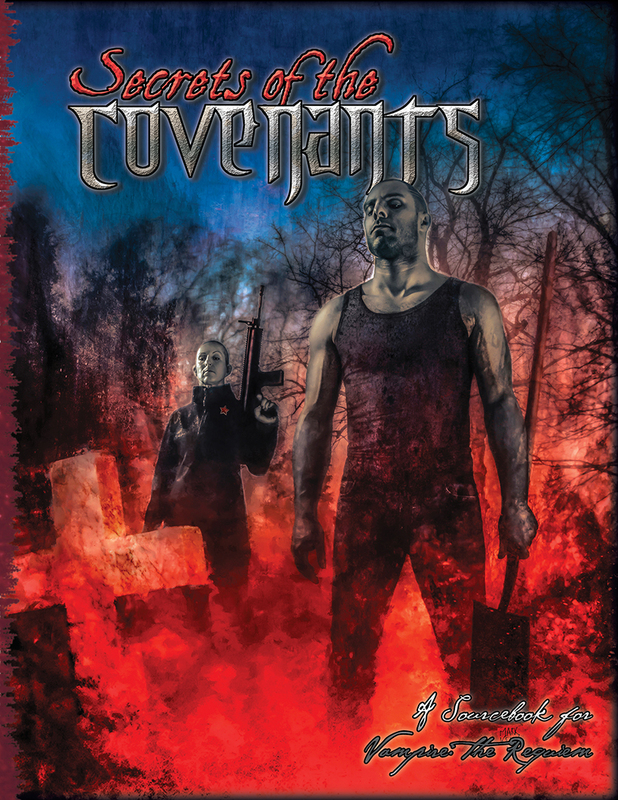 A variety of stories from each of the covenants, all told in their own words. Never-before revealed secrets, like the fate of the Prince of New Orleans. 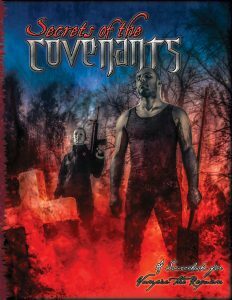 New blood sorcery, oaths, and other hidden powers of the covenants. Discussing GenCon plans. August 17th – 20th, Indianapolis. Every chance the booth will actually be 20′ x 30′ this year. EX3 Tomb of Dreams Jumpstart – More color comps coming in. 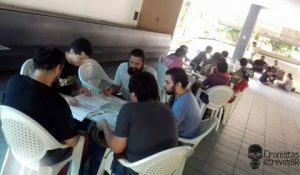 Prince’s Gambit – Kickstarter Prep. Dark Eras Companion – Getting things ready to roll. Ex 3 Screen – Finished at the Printer. Ex 3 core book – From RichT: manufacturing finishing up. Shipping books from printer to shippers. Beast Condition Cards – Pod proofs ordered. 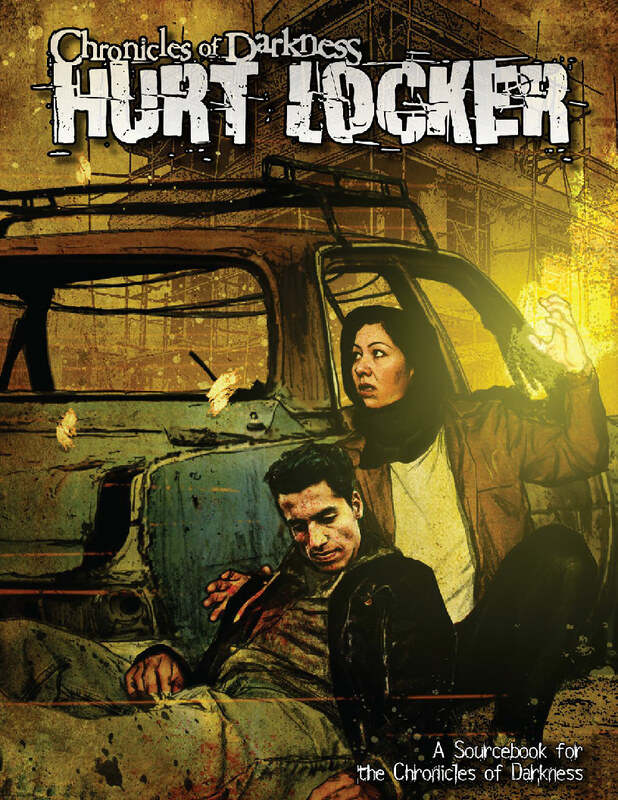 CofD Hurt Locker – Waiting for tech OK to order PoD. 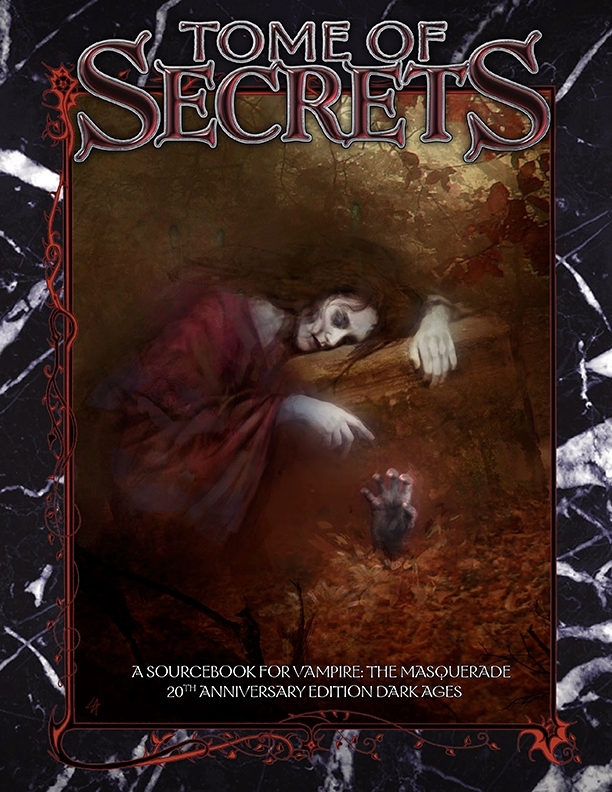 Secrets of the Covenants – Waiting for errata to make PoD. Beckett Screen – At Printer, reviewing proof. Too dark, new fixed proof coming. W20 Shattered Dreams – Prepping shipping to fulfillment shippers. Shattered Dreams Screen – At Printer, waiting to print. Promethean 2nd Condition Cards – PoD proofs ordered. Beast Conquering Heroes – Advance PDF now on sale at DTRPG, gathering errata. Mortal Remains: Beast- Red In Tooth and Claw – Going out to Beast KS backers this week. Dark Eras: Doubting Souls – Uploading files to Drivethru. Dark Eras: Bowery Dogs – Files uploaded. TODAY’S REASON TO CELEBRATE: Wow. Tough week for this one. Howzabout this week we go from January to February, which is our shortest month, so we’ll get through that the fastest into March, which means Winter is almost over. Throw me a frickin’ bone here, people. Cool, I knew the Brazil scene was growing but I didn’t know how much, we have some posters from there. Glad to hear Pugmire might be getting some action there too. Really glad to hear about all these novels coming out as well. I had a question about the Dark Eras Companion. Do you think you could (maybe in a Dark Eras KS email or Monday Meeting or during one of the Open Development posts (if there are any)) post what eras are going to be in it? I can’t seem to find a good list with them all and the Kickstarter page doesn’t have the results of the last few votes. Thanks, and hope things keep looking up for Onyx Path. I think this covers most of it. There is also a Beast the Primordial Era, though I couldn’t find which Era on the kickstarter page. I don’t remember which specific post said so, but if memory serves me right, the Beast setting is going to be the American Civil War. It’s Reconstruction, the period just after the Civil War. Ooooh. That’s a brilliant setting fire Beast. 🙂 I kick around the pages a lot checking updates. Always happy to grab a link to save some time elsewhere. Thanks for all the action on Dark Eras right now. I’m looking forward to nabbing a few of the standalone Eras along with some other books in a bit after we move (I’ve been told in no uncertain terms I can’t buy more game books that we will just have to move until we get to our new place. It’s sad, but totally reasonable). If the real estate gods are kind. 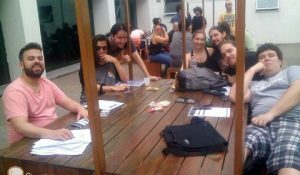 Rich- is there still an “official” CofD Compendium in the works for Roll20? Also, can we expect anything in the way of additional “official” 2nd Edition CofD line character sheets any time soon? I’m digging the ones for VtR and WtF, and if I knew anything about coding, I’m sure it wouldn’t be all that difficult to copy what has already been done and apply it to a different game. Sadly, though, thats a skill I’ve yet to teach myself. Our Extended Media team has been going over the character sheets Roll20 has up already, and will soon be working on some prototypes, but we don’t have a set date on anything solid happening. They need to get used to how Roll20 does things first. I’m from Brasil too, and I’m running a chronicle of darkness game lasting for over a year on roll20. Its sweet. 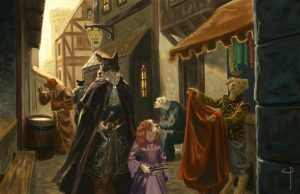 We only have CofD, VtR and recently WtF as second edition character sheets right now, but its really well done sheets, some of the best on roll20! That’s great to hear! Thanks! We’re looking at what it takes to do more sheets. Satyr Phil is overseeing the M20 Cookbook, but other folks have been working on the development and writing. He’s talking with them this week and getting an up to date report on where they are with it. I don’t think they are actually looking fir more recipes, but if that’s one of the things he finds out after talking with them, then we can consider submissions. I know we didn’t meet the stretch goal, but is there a chance we’ll see the Book of Going Westward move forward as the next project for Mummy? I’m hoping for a proper GMC/CofD/2e update to Mummy once Rio is released. Ultimately it makes sense to have every CofD game line “promoted” to 2nd Edition. With Rio only close to coming out and not even up on DTRPG yet, it’ll still be some time before we do Mummy 2e though. “Some time” being a very fluid term in tabletop RPGs, of course. We don’t have any plans at this time to develop that title into an actual project beyond the concept blurb added at the last minute to the Kickstarter. Weeee!!! Beast Mortal Remains, and two more Darks going on sale as solos! I’m especially tickled to see Doubting Souls make it in. Hopefully, people will enjoy the expansion. It’s enough to take the edge off of my cursing for not having backed Mummy for the umpteen millionth time. Thanks for the answer. It’s a book (or at least a topic) I’d love to see made real at some point. I am very happy to see the Sundered World pulled out of Dark Eras and published as a stand alone. It’s the standout era in the book, and one of the best things Onyx Path has ever written for any game line. Maybe even the best. Thanks! Seems like that’s the nature of an anthology book like CofD: Dark Eras; if you keep the overall quality standards high, there’s a really good chance of some real standout sections. Glad Sundered World works that way for you! 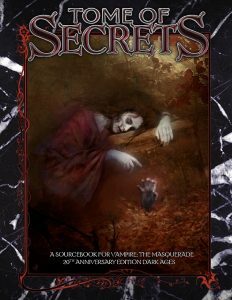 Any idea on when we will see the M20 Book of Secrets? Nope. But you can watch the process each week on the project listings on the blog. Thanks! Ni hao Onyx Path. Which of the original designers are involved in the new Aeon project? Andrew Bates, Ken Cliffe, Richard E. Dansky, Greg Fountain, Rob Hatch, Chris McDonough, Richard Thomas, Stephan Wieck, Fred Yelk? Hope we can get a continuation or update of the metaplot, and not just a sandbox! And if not, a Trinity 20th Anniversary edition would be amazing. Well, like half of those people are out of the business, so not them! Obviously, I’m involved, along with Ian Watson as our uber-developer guru for the entire Trinity Continuum, as well as developer for the Trinity Continuum core book, and John Snead is developing the Trinity Continuum: Aeon game line. This is a brand new edition, with a very strong consideration for what worked in the past in terms of storyline and no desire to mess with that. Thanks for the quick reply, Rich. I’m very much looking forward to the kickstarter.